One of the most distinctive things about Santiago is the absence of old buildings. This is not just because Chile is racing headlong to grow and modernise its economy and its capital, but also because Santiago sits on a major earthquake fault and most of the old buildings have been destroyed by earthquakes over the years. 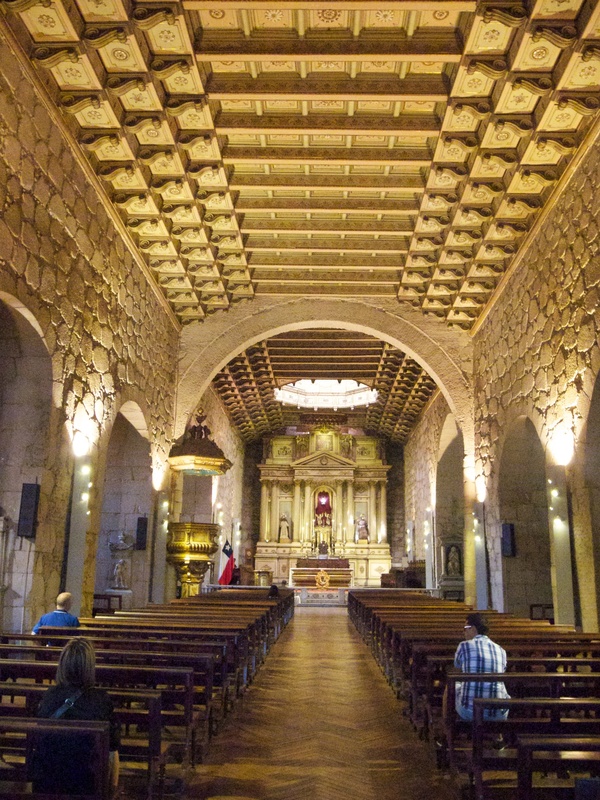 All of which makes the survival of Santiago’s oldest church, the Iglesia San Francisco (1586-1628) even more remarkable. The church has a real feel of a first colonial church, built in rough stone and wood. It is certainly worth a brief excursion. Posted in Architecture, Chile, Photography and tagged architecture, Chile, Iglesia San Francisco, photography, Santiago. Bookmark the permalink.